Jonathon M. Toni is a professional pianist, harpsichordist, organist and Bel Canto tenor, which he is an active performer, collaborative pianist, and music educator. Mr. Toni have appeared in several operas and musicals including L'Orfeo, Don Giovanni, Le Nozze di Figaro, The Magic Flute, Cosi Fan Tutte, Rigoletto, Xerxe, Les Miserable, Man of La Mancha, Guys and Dolls, Sweeney Todd, Catz, Chicago and An American in Paris. Jonathon was chosen distinctively to participate in the masterclasses of Neil Rutman, Matthew Hagle, Jorge Osorio, Yoheved Kaplinsky and Nicole Cabell. Mr. Toni also had intensive chamber music coaching by renowned artists Dr. Kay Kim, Vadim Mazo and Nazar Duhzyrn. Jonathon has performed at prestigious concert venues including the Steinway Gallery of Northbrook and Hinsdale, the Chicago Cultural Arts Center and the Anderson Chapel of North Park University. 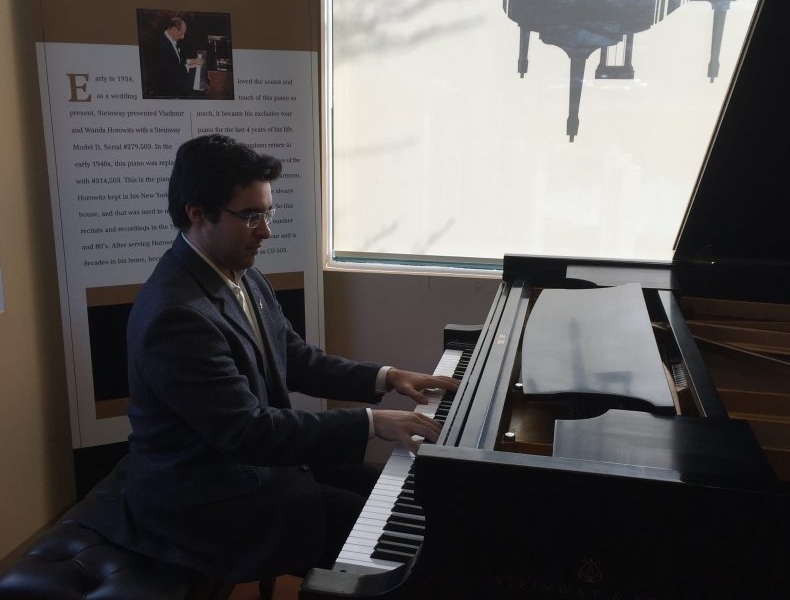 Jonathon was given the privilege to give a short recital on Vladimir Horowitz’s piano during its Chicago tour in 2015 at the Northbrook Steinway Gallery. Mr. Toni holds with distinct honors, a B.M. in Piano Performance with Emphasis in Vocal Studies from Northeastern Illinois University where he studied under distinguished teachers Dr. Susan Tang, Dr. Elyse Mach and Kathy Cowan. Jonathon is currently pursuing further studies in piano with the guidance of Russian pianist, Dr. Yulia Lipmanovich. Mr. Toni is the Director of Music/Choirmaster at Holy Trinity Catholic Church in Westmont, IL, a Steinway Teacher, Vocal Department Chairman and Piano Faculty at the Arlington School of Music and Assistant Choir Teacher and Accompanist at Christian Liberty Academy. Jonathon is a member of the National Pastoral of Musicians, Bel Canto Foundation of Chicago and founder of the Holy Trinity Concert Series. Mr. Toni’s expertise are in Catholic theology, liturgical music, musicology, music theory/aural skills, orchestration, vocal diction and in choral/instrumental conducting.